HealthPro provides a virtually complete range of equipment, instruments, products and consumables to gynekologist in Cyprus. 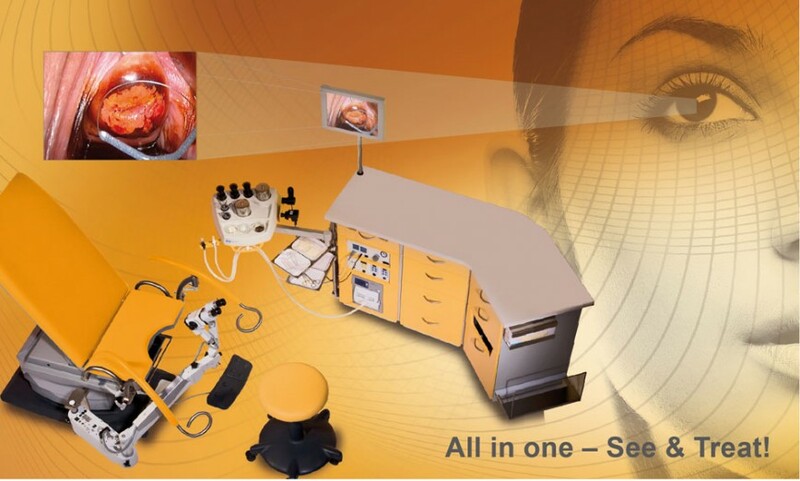 HealthPro Ltd. is Cyprus’ leading gynekology equipment specialists and market leaders providing a complete and integrated approach to the supply of quality equipment solutions for gynekologists. Healthpro has an experienced, highly qualified and constantly trainee to new technologies team to provide technical services and technical support. What is important in a natural vaginal childbirth? In the last 35 years the number of Caesarean sections has increased while the vaginal childbirth method is steadily decreasing. However, there are still situations where a forceps or extraction cup delivery is necessary! With the reduction of the frequency of this procedure the medical staffs’ experience also declines. That is why an easy to use system becomes more and more important! ATMOS meets the needs of the gynaecologist and obstetrician with greater process safety with an almost fully automatic vacuum extraction device. Different from the forceps delivery, where many steps and a lot of feeling and experience are required in order to avoid any trauma of mother and baby, the application of vacuum extraction is simple and quick. Delivery with an extraction cup takes approx. 6 minutes; a forceps delivery takes approx. 15 to 20 minutes! The reason for the faster delivery is so the extraction cup can be applied when the baby is still deep inside the birth canal. Compared with a caesarean section the extraction cup birth is more time- and cost-saving – less time in the OT, less time in clinic, less wound treatment. In conclusion the act of birth is more natural and the attachment between mother and child is much deeper than with a caesarean. The ATMOS® RS 221 enables highly precision cutting without pressure and traction. This results in smooth cuts which heal quickly and are much less painful. Because of lower cell damage, scarring is minimized. Alternating current with high frequency is used to deliberately cut or damage tissue for medical purposes. An Advantage of this method is the simultaneous hemostasis during cutting where the damaged tissue is sealed via the alternating current. Out-of-date is the cauterization method because of the deep burnings caused by inappropriate energy impact. Electrosurgery is widely applicable and includes many different methods like: radiosurgery, high-frequency surgery, cauterization. It is the whole spectrum of what we do that sets us apart. As one of the leading companies specialising in Gynaecological equipment and ENT equipment, we sell our quality products all over the world. As such, we are very familiar with the needs of physicians. Based on this experience, we have independently developed a colposcope which embodies not only our entire expertise: each new ATMOS® i View Colpo reveals its own spirit of discovery. We are aware that in this day and age, modern diagnostic equipment must have more to offer. 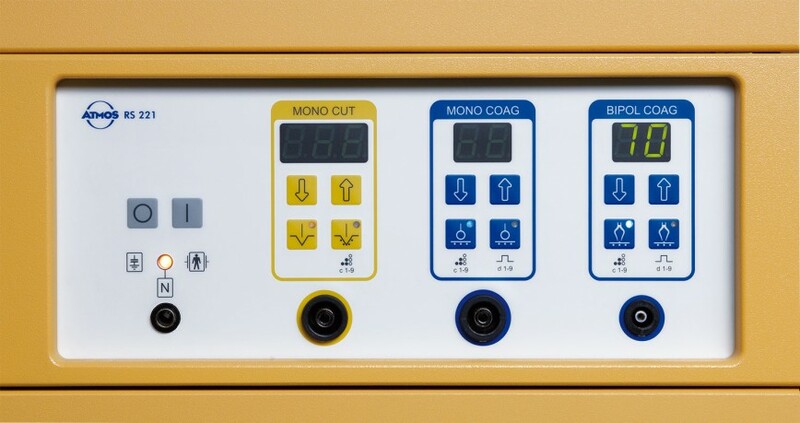 Many features of the ATMOS® i View Colpo are unusual within this class of diagnostic equipment. In addition to the holistic and physician orientated concept, this is just what distinguishes our colposcope and makes it so advanced. With development of our optical System in Wetzlar – a town which is renowned for its lenses – and a production at ATMOS in south west Germany – the world’s centre for medical technology – we are always able to fall back on the cumulative expertise of qualified experts. It is possible to accurately adapt the ATMOS® i View Colpo to individual requirements. For gynaecologists many features make it a flexible all-round product which possesses superior, comprehensive and high-class technology, the like of which is pioneering in the field of diagnosis. For the easy positioning of the colposcope head, the colposcope arm can be equipped with needle bearings. Apart from the characteristics which facilitate work and the additional modules, we have also paid attention to data processing: many features of the ATMOS® i View Colpo serve to ensure safety and ensure straightforward data handling. Among others, these include the integrated camera as well as the PC archiving software with a patient database. Service is traditionally one of the most important aspects at ATMOS. Our service team worldwide strives to keep over 100 workstations alone in German clinics in good working condition thereby preventing downtime. We are proud to be associated with trusted brands from around the world. Learn more about our distributions.